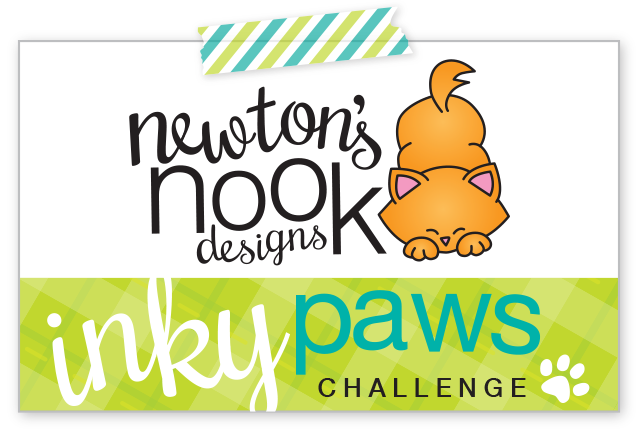 Hi everyone and welcome to day 2 of the Newton July reveals as we continue on with our 5 year celebration! Today we've got 2 new stamp/die sets to show you, so let's get started! For my first card I played around with the cute kitties in the Newton's Summer Treats set! This is a really simple little card. I took this summer playful zig zag paper and foam popped this scallop circle die cut on top that had a little distress inked backgroud in cracked pistachio. I then added this cool Newton in his shades holding a bomb pop! 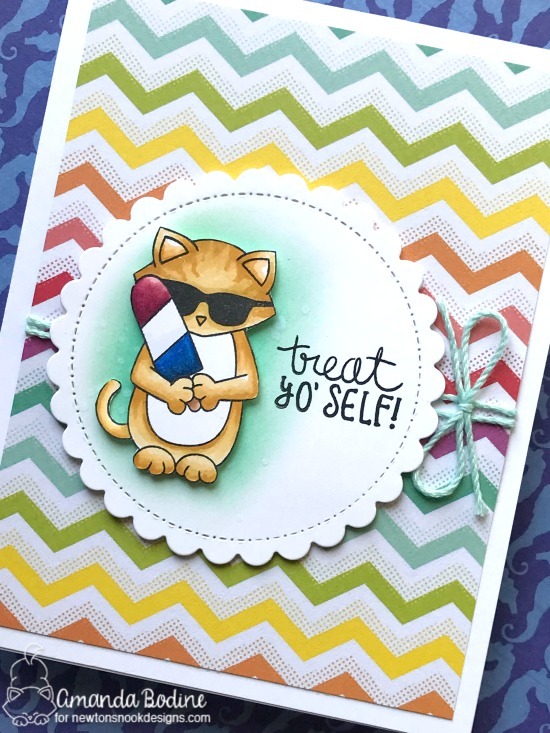 Lastly I stamped this FUN sentiment, treat yo' self (any Parks and Rec fans here that enjoy using that sentiment when shopping for craft supplies?!? LOL!) I tied a bit of twine on my base layer too! 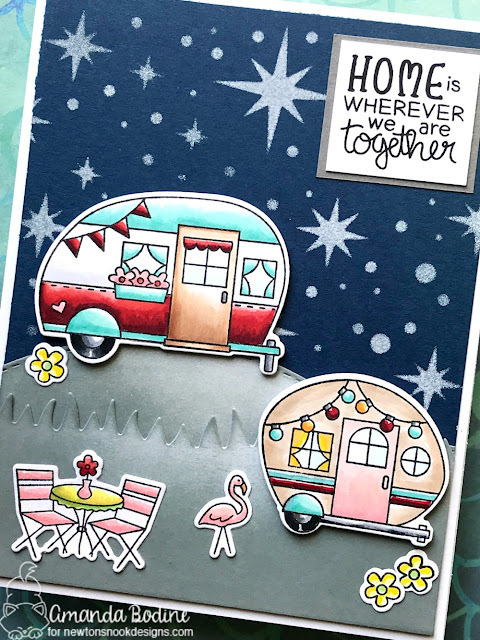 Then we move onto my 2nd card I made using the new Cozy Campers stamp/die set. I absolutely adore these little retro campers! I'd been playing around with the Starfield Stencil using my white ink on navy cardstock and the idea came to me to create a night camping scene! I love the sentiments in this set as well as the little coordinating stamps..that flamingo!!! I also used both dies in the Land Border sets to create the hill and grass. So that's a wrap for day 2, keep scrolling for your chance to win a store g/c!!! Super cute cards! My favourite is always Newton and he's got some yummy sumemr treats! The first card is really cute & love Newton in the sunglasses. But the 2nd card is just incredible. Magical. Love it! Ha Newton looks so cool and happy in the sunglasses. Love the night scene on the second. Adorable cards! Thanks for the chance to win and sharing. I love the background paper on the Popsicle one! And great camping scene! 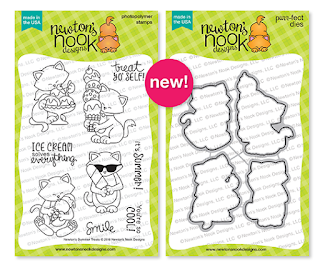 Gorgeous and fun cards! Your coloring is just soooo AMAZING! FUN cards! I especially am loving the second card with the really cute camping scene! And your coloring and color choices are AMAZING too!!!! The kitties are oh so cuuuuttee!!!! Love love love!!!! Oh my goodness, absolutely adorable cards! Newton is just too cool in his shades and popsicle. The campers are so sweet. I love the night scebe you created! Oh, I love the Cozy Camper's set! Absolutely adorable scene. These campers are so cute! Looks like I'll be getting some new stamps very soon! 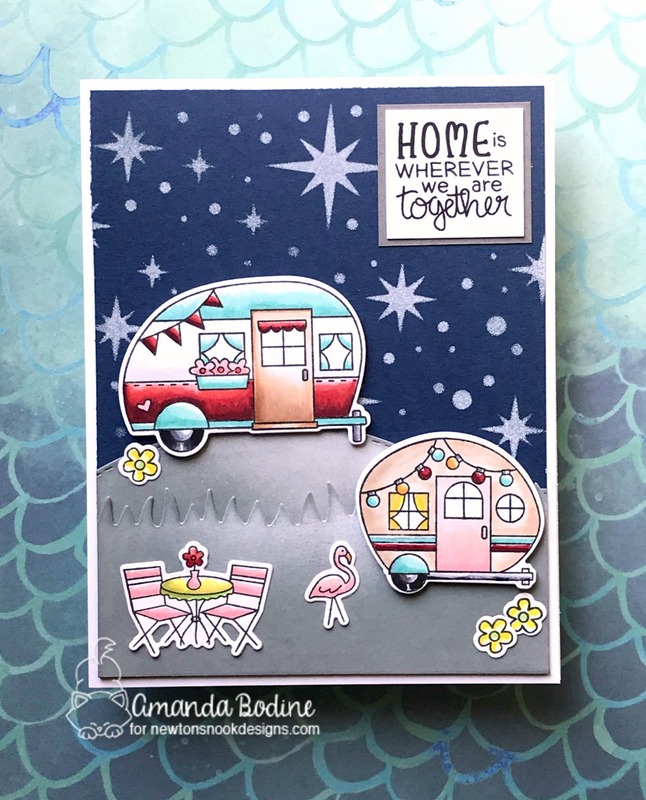 Very cute - I am loving the cozy campers. 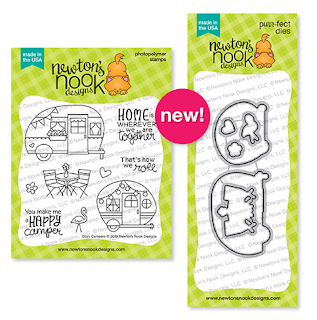 This camper stamp and dies set is so adorable...This is going to be the one I have to have first! Fantastic job on the field of stars. The little campers are darling. These are fabulous! The starry background to your camping scene is great! Also love your chevron background! I like the paper on the first card and the starry sky on the camping scene. Fun projects, love the little yard flamingo with the camping set! I absolutely love the "cool cat." He is the cutest ever! Love these cards! So beautiful & colorful! Oh my !! Your night camping scene is so awesome with all the tiny details and these great stars ! And just as yesterday, I’m a huge fan of your color combos. Fabulous cards! I love the zigzag background! Your coloring is fantastic and I love your designs.